This is the color mock-up. The jersey numbers will be added with decals. 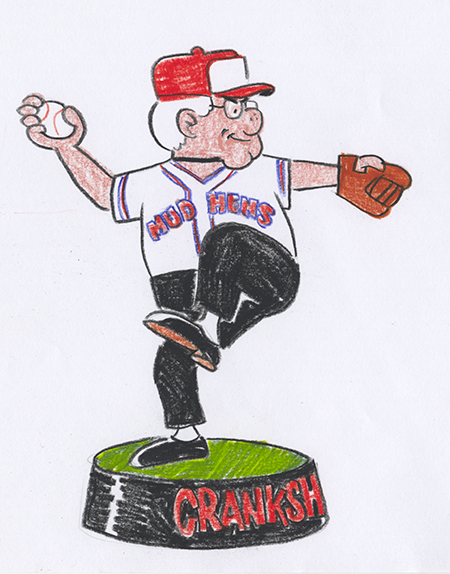 This summer on July 29th the Toledo Mud Hens will be retiring Ed (Eddie) Crankshaft’s jersey. There’s info about it in the events section on this site and I’ll be providing more news as the event nears. 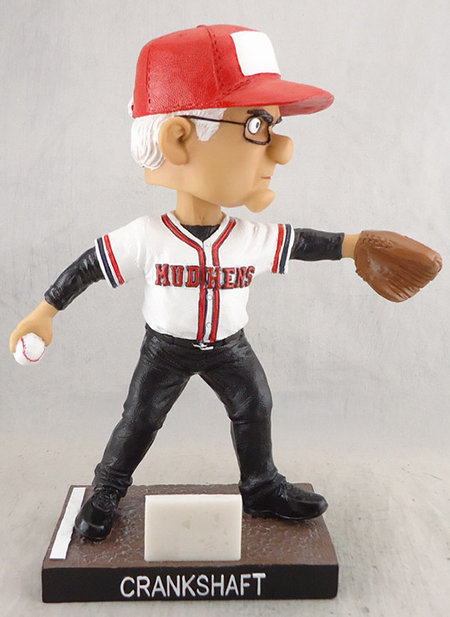 That same night Mud Hens fans in attendance will receive a Crankshaft bobble head figure. In the interim, I thought I’d post some stuff that was lying around the studio starting with this Chuck Ayers model sheet drawing for the bobble head figure. The main characters, T.D. and Les, were friends from my Kent State days, Thom Dickerson and Les Meyer. Roland, the hippy/revolutionary, was a guy who lived in an apartment across the street from mine, and Livinia was based on one of my art students with a name taken from a magazine. I pulled their looks from some of the characters that I’d used in Rapping Around. I used people I knew because the characters then came with established identities that I could immediately plug in and begin working with in the strip. It was a handy way to start things off, and it’s remained my work method ever since. My junior high band director became Harry L. Dinkle, the World’s Greatest Band Director, and Mrs. McKenzie, the lady in the apartment below mine, would later turn up as the nextdoor neighbor in Crankshaft. The holding title for the strip was Moondog, which I apparently was just using until I could come up with an even goofier name. The pattern that winter was this: I left school in the afternoon, stopping at a Burger King two blocks from my apartment, and then, with no cooking or cleanup necessary, settled down to work on the strips until hitting the sack after the late-night talk shows. It must have been taking a bit of a toll on me, because I remember one of my seventh graders coming up to me in class one day and telling me that I needed to get more sleep. In a short while though, I had a batch of strips ready to send off to NEA. 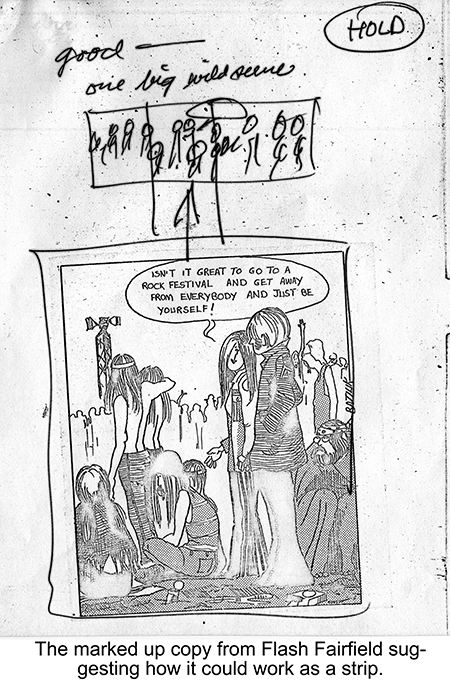 And since it was not a given that NEA would pick up the strip, I also made plans for a return trip to New York City to visit the major newspaper syndicates over my spring break. My dad, who traveled quite a bit on business, provided me with maps of the city, gave me a hotel suggestion, and even recommended a syndicate to check out. Our local papers didn’t carry Doonesbury, but he had seen it in an out-of-town paper and suggested that I might want to visit Universal Press Syndicate while I was there.